The Social Computing Research Centre which is within the School of Computer Science has been working on a collaborative serious game development project called “Learn To Lead”. Learn To Lead (L2L), which is funded by the European Union Lifelong Learning Programme, aims to deliver training to SME’s in the field of leadership and management development. 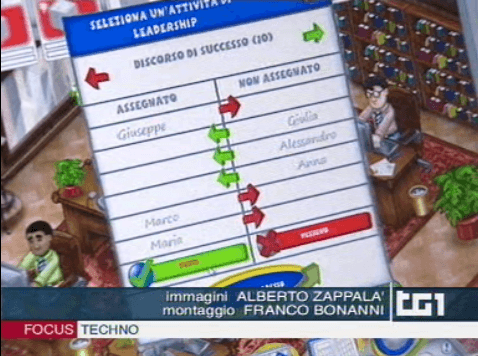 L2L gets exposure on RAI, Italy's main broadcaster. Along with academic and industrial partners from Italy, Spain, and France, academics from the School worked in particular upon the game design phase of the project, which is nearing the completion of its two year development. 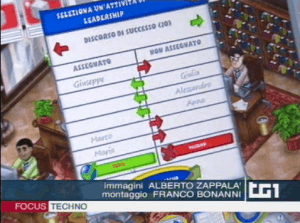 The project recently enjoyed coverage on Italy’s national TV channel, RAI. A more in depth look at the L2L project will be posted in the near future.